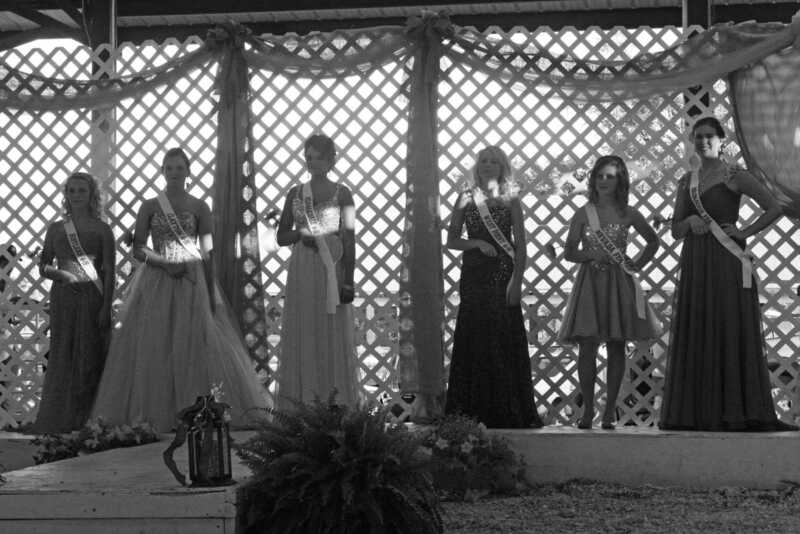 The six fair queen candidates await judging results during royalty cornonation. 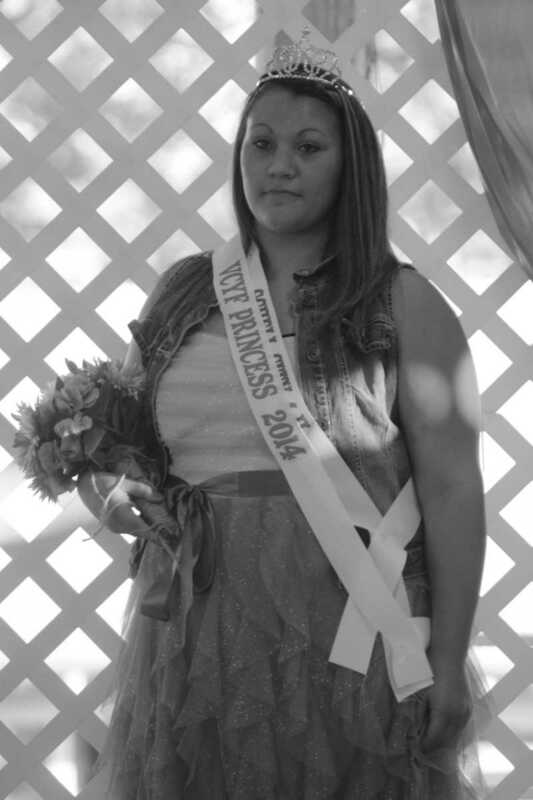 Kiley Gerster, representing Schell City 4-H, was crowned 2014 youth fair princess. 2014 fair princess candidate Hadley Brunce accepts a bouquet and charm for being first runner-up. 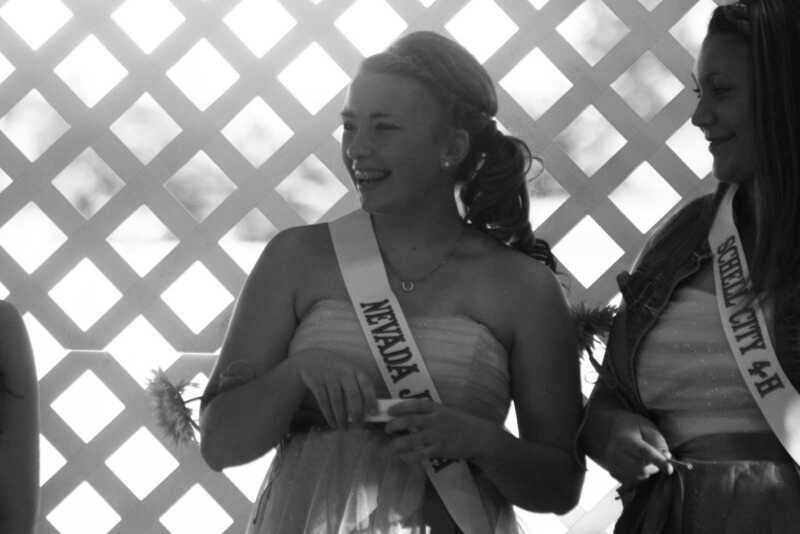 Sami Fine, representing Nevada Jr. FFA, laughs as she receives a charm for being named Miss Congeniality in the 2014 fair princess pageant. 2013 fair princess Sydney Ernsbarger prepares to crown the 2014 youth fair princess.